Chasewater Railway Museum – Help needed. Recently donated to the museum by Alan Sherry was a collection of cine-films and colour slides. We have had one of the films copied onto DVD by Final Cut Video Editing and Photos, based in Burntwood. This film was taken in the mid-1960s depicts trains, boats and planes in and around the Isle of Man. 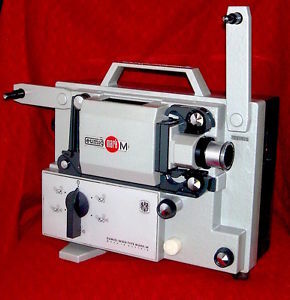 We could do with a cheap or preferably free 8mm projector (any make) in order to check the films before spending further money on copying what may turn out to be film of the family holiday variety. This entry was posted in Museum Exhibits, News and tagged 8mm cine projector, Aldridge, Bloxwich, Brownhills, Burntwood, Cannock, Cannock Wood, Chasewater Railway Museum, Cheslyn Hay, Great Wyrley, Hazel Slade, Heath Hayes, Hednesford, Lichfield, Norton Canes, Pelsall, Walsall, Wolverhampton. Bookmark the permalink.